This was such a wonderful read and so emotional. I love reading memoirs and this one is such a great one. Just from reading the blurb I knew I really wanted to read the book and now… I’m so happy I did. 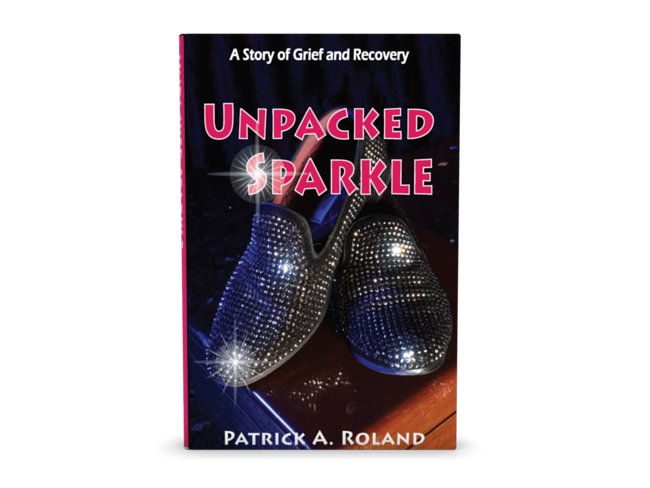 Unpacked Sparkle chronicles Patrick’s transformative journey upon finding his partner Pack dead in January 2014. It begins on the day of the funeral, where we learn that Pack’s homophobic family have banned him from attending the service. It then details the next two years of Patrick’s life, including his attempts to cope with grief and the journey of acceptance that ensued, his battle with addiction and the recovery from it, his family dynamics and the DNA test that resulted in a life-saving bi-polar diagnosis, and the importance of civil rights and marriage equality. This miraculous journey is threaded together by a tapestry of amazing friends who helped him find his way back to happiness, where he remains putting his hand out to others in search of their own sparkle.